Call for Emergency Roadside Service! 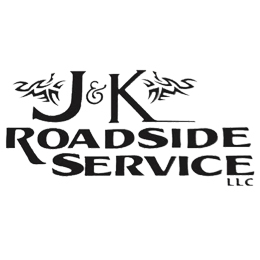 J & K Roadside Service has been in business since 2012 and is fully licensed and insured. It is owned and operated by Jason Cupp who has 10 years experience driving commercial trucks and for seven of those years has been driving a tow truck. Jason takes pride in knowing that J & K Roadside Service operates legitimately and legally, he doesn&apos;t cut corners, and he understands that today&apos;s comments are tomorrow&apos;s reputation. As a result, he works hard to meet and exceed every customer&apos;s expectations.All of J & K&apos;s equipment is clean, well maintained and in perfect working order. If you need a reliable professional for any towing needs including 24 hour towing, emergency roadside assistance, or if you just need a jump start, call J & K Roadside Service.You can rest assured that when you call J & K Roadside Service you will receive prompt, courteous service and that your vehicle will be properly secured and safely transported to its destination.